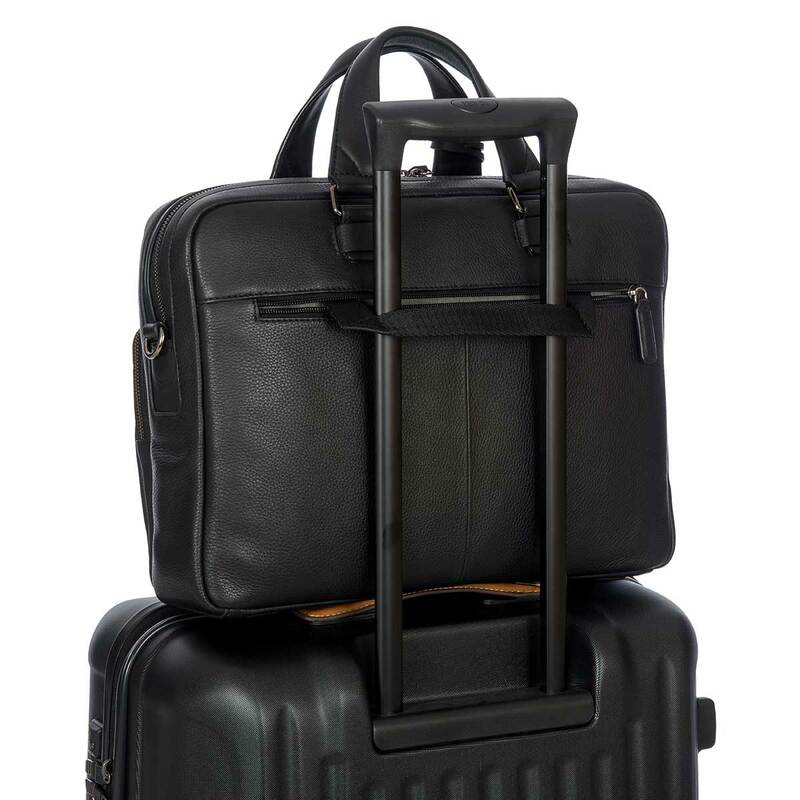 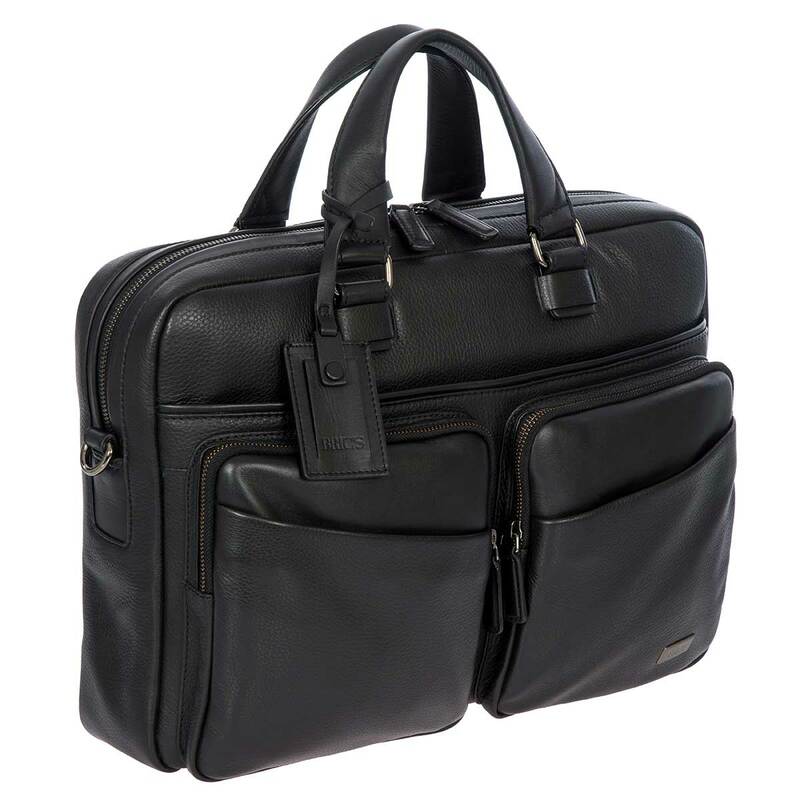 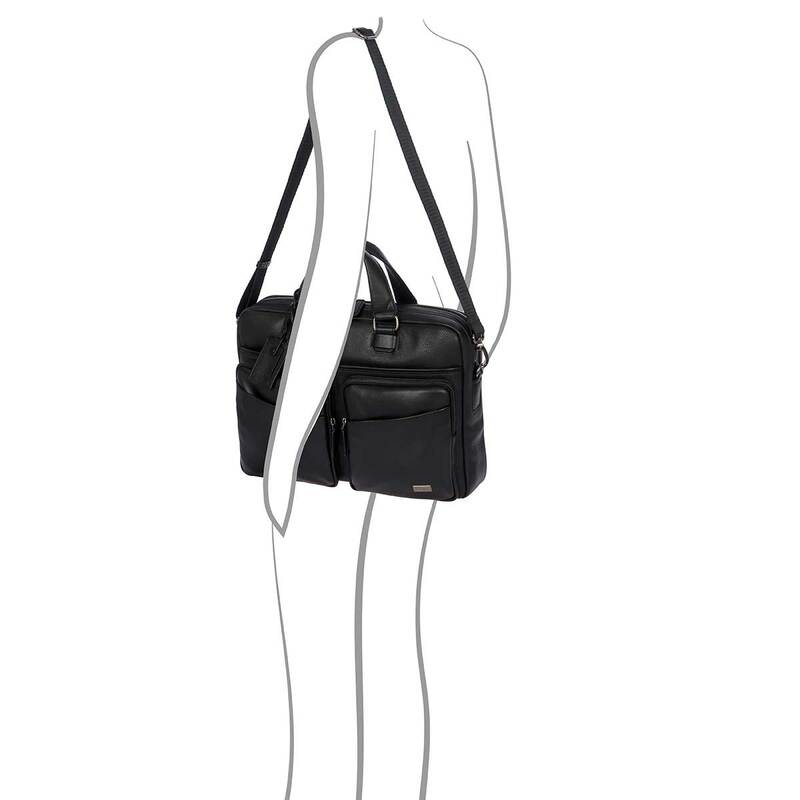 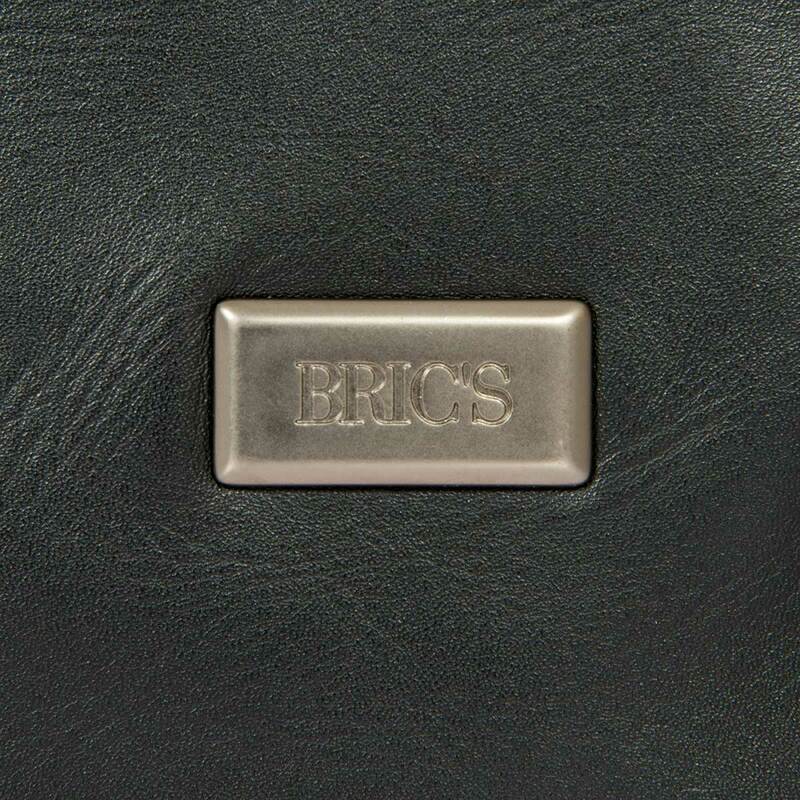 Briefcase 1 garment 2 handle from BRIC'S Torino Collection, is made with design and functionality at it's core. 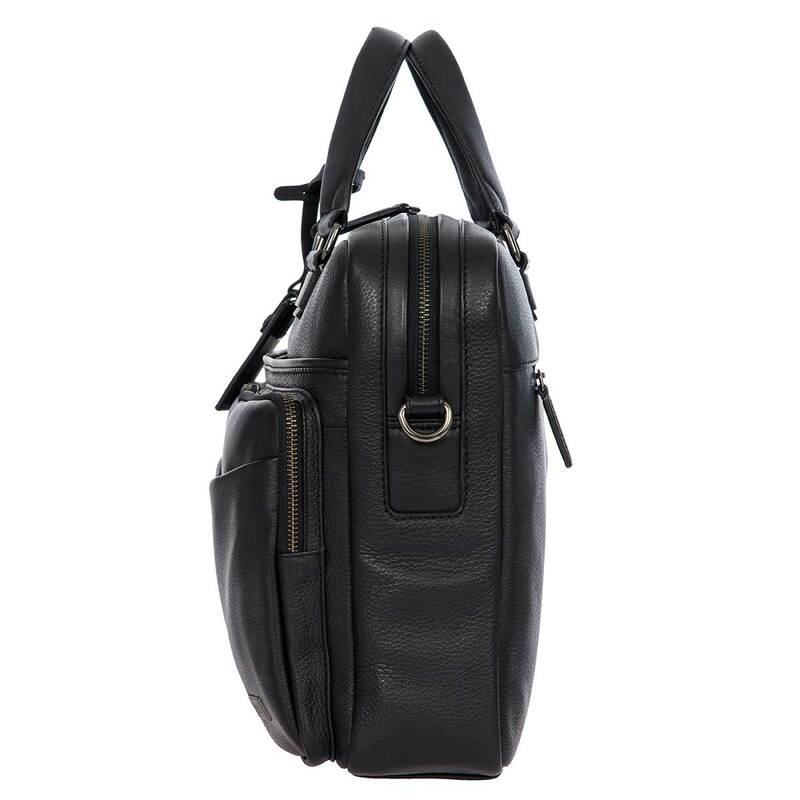 Created using two types of leather; one smooth and modern, the other tumbles and precious it provides a sense of tradition with a contemporary twist. 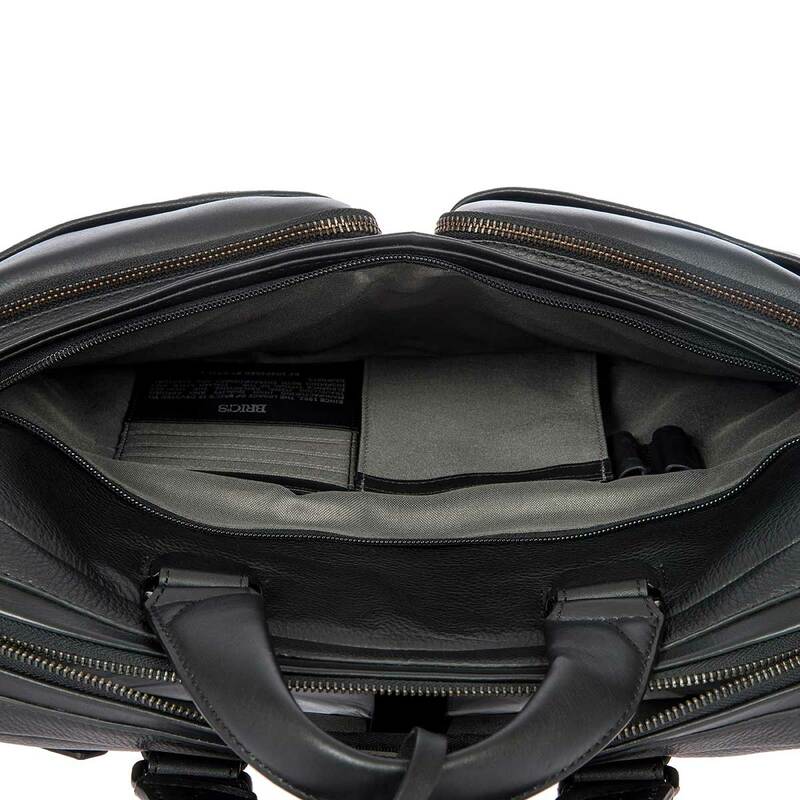 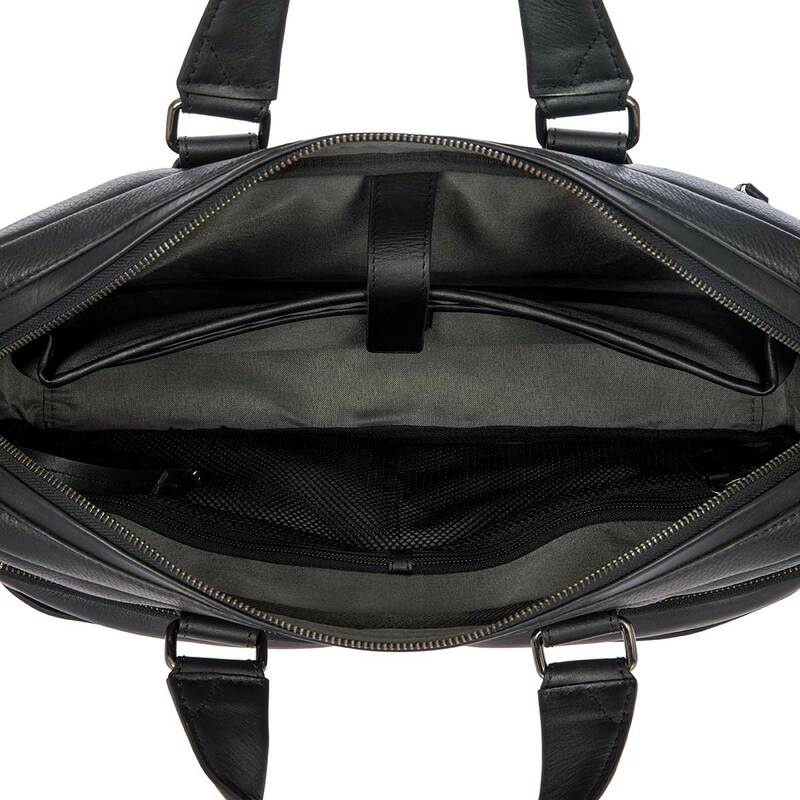 The exterio rand interior contains several pockets for optimal organization, including pockets for a laptop and tablet on the interior. 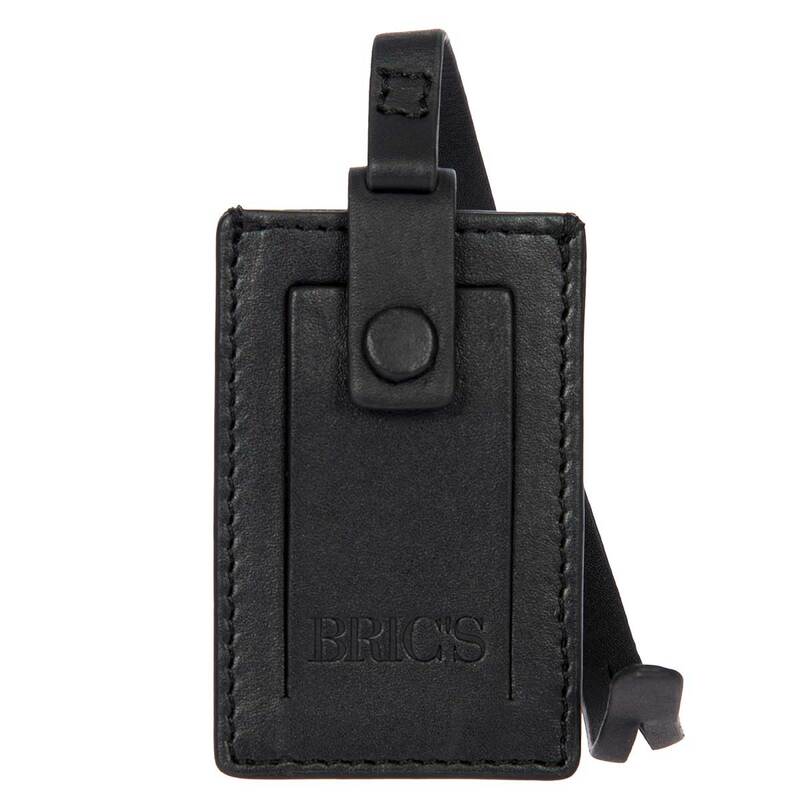 The exterior is highglighted with a USB A and C connection which attaches to your battery pack, housed and protected on the interior. 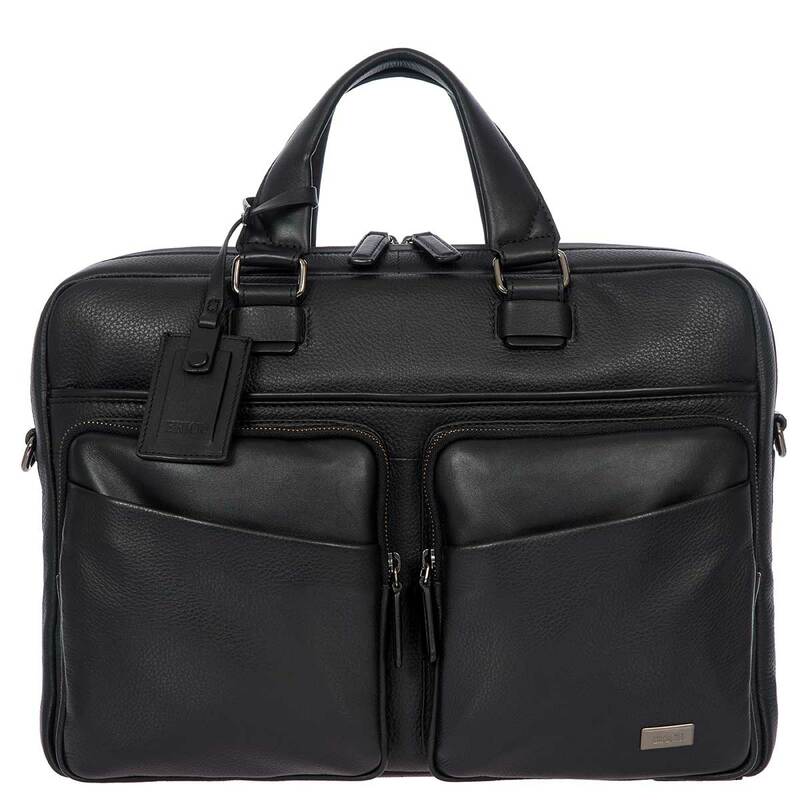 Gunmetal zips and logo keep the presentation of this collection subtle yet stylish. 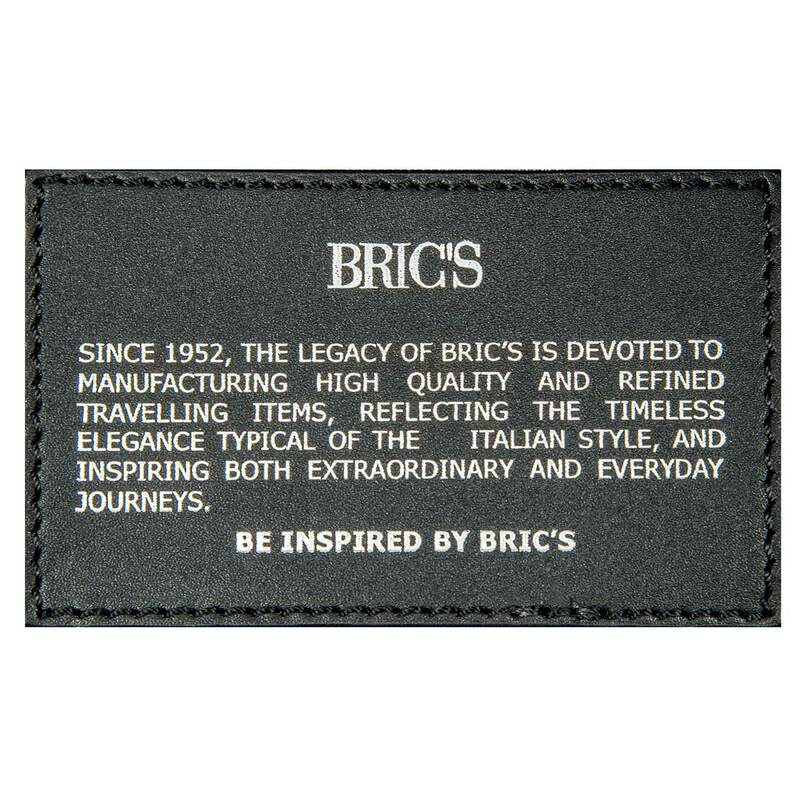 Luggage tag included.